Professor Dr Hong Xue is Law Professor at Beijing Normal University, Director of Institute for Internet Policy & Law (IIPL) and Co-Director of United Nations Commission on International Trade Law (UNCITRAL) and Beijing Normal University (BNU) Joint Certificate Program on International E-Commerce Law.Professor Dr Hong Xue is a China-Law-Society elected Top Ten Nationally Distinguished Young Jurists and enjoys the State Council Special Governmental Allowance for the national experts. She is on the Chinese National People’s Congress Expert Panel for Drafting the E-Commerce Law, the Advisory Committee of the United Nations Network of Experts for Paperless Trade in Asia and the Pacific (UNNExT) and 2nd APEC E-Commerce Business Alliance Expert Council. 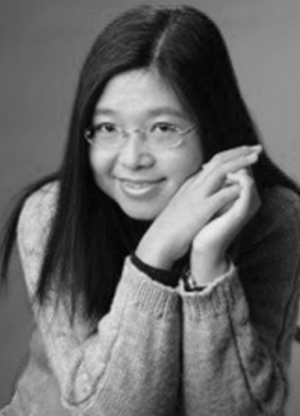 She is an arbitrator at China International Economic and Trade Arbitration Commission (CIETAC) and a World Intellectual Property Organization (WIPO) Uniform Domain Name Dispute Resolution Policy (UDRP) panelist. She is the Chair of Council of Chinese Domain Name Users Alliance and the Faculty Chair of Asia Pacific Internet Leadership Project (APILP) Beijing. Prof. Xue had taught in law schools in Australia, United States and Hong Kong and was the Residential Fellow of Yale Information Society Project, ICANN ccNSO Councilor and the Chinese Coordinator for Global Academy on Access to Knowledge. Prof. Xue researches international trade law, information technology law, electronic commerce law, intellectual property law and Internet governance and had published many books and journal articles. Publications: As well as writing the Chinese Section to this publication, Prof. Xue is author of International Intellectual Property Law @ Crossroad published by China Law Press as well as many other books and publications.